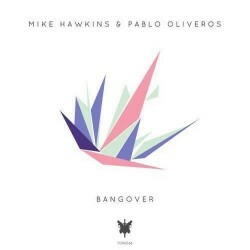 Mike Hawkins & Pablo Oliveros – "Bangover"
Four years ago, Mike Hawkins’ debut EP came out on the Spinnin Records imprint Tone Diary, a release that set the stage for a producer who would eventually create his own label and likewise foster the careers of upcoming musicians. Revisiting his past, Hawkins teams up with the usual suspect Pablo Oliveros on “Bangover”, an energetic electro house track that both represents current dance genres and recalls memories of big beat classics. Whether you prefer the guitar/drum-laden introduction or the pronounced climbs, this track will certainly chase their July hit with Henry Fong, “Jump”, up the Beatport charts. The already long list of supporters, Arty, Dimitri Vegas & Like Mike, and Afrojack to name a few, seems a strong indicator of its promising future.